We’re excited to announce Chuck Herak has been selected as the new President of Huber Engineered Materials (HEM) succeeding the retiring Andy Trott. 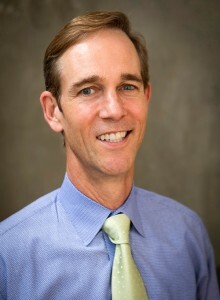 Chuck joined Huber in 2009 as Vice President (VP) & General Manager (GM) of HEM’s Silica business. David Riley has been named VP & GM of HEM’s Silica business. Previously, David held the position of VP & GM of HEM’s Ground Calcium Carbonate (GCC) business. He held this role for four years and previously worked in the Silica business as Director of Global Marketing. Matt O’Brien has been selected as VP & GM of the GCC business. For the last nine years, Matt has been a key member of Huber Engineered Woods LLC, serving as Chief Financial Officer and most recently as Chief Commercial Officer with responsibility for Sales, Marketing and Supply Chain. “We’re extremely pleased we were able to draw upon the outstanding leadership talent we currently have in the Huber organization to position us for continued growth in the future,” Marberry concluded.